Storytelling is a way of playing together: the audience, the teller, and those who passed the stories down to us from long ago. Together we create something new every time; we see the narrative unfolding in the air between us, meet the characters and live in their skins for a while, travel far and return home with our pockets stuffed with treasure. I seek out folk tales, legends and myths that show the strength of women’s and girls’ friendships, mother-daughter tales, wise grandmothers and quirky aunts. I pick out stories where boys and men learn to love the environment and treat each other well. Moments of transformation are magic; a forgotten kindness repaid to lift us out of despair, or an insignificant person who turns out to hold the key. I’ve also been known to make stuff up…. It’s important to highlight the beauty and fragility of wildlife and planet and our need to work together as fellow creatures in the face of climate destruction. Has this character really got a stomach-ache or is she hamming it up? Does she need the magic goat’s-milk or is she just trying to get rid of her brother’s wonderful dogs? What are the 24 giants up to? ….in The Forest of No Return. (It’s in the middle of Brittany, by the way! Yes, I got out – but that’s another story, for another time.) This Breton story is one of my favourites because of the emotional intelligence of the plot. And because it involves making faces! 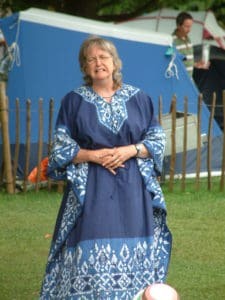 I was thrilled to work with John Row and other exciting storytellers at Cambridge Folk Festival in 2008. 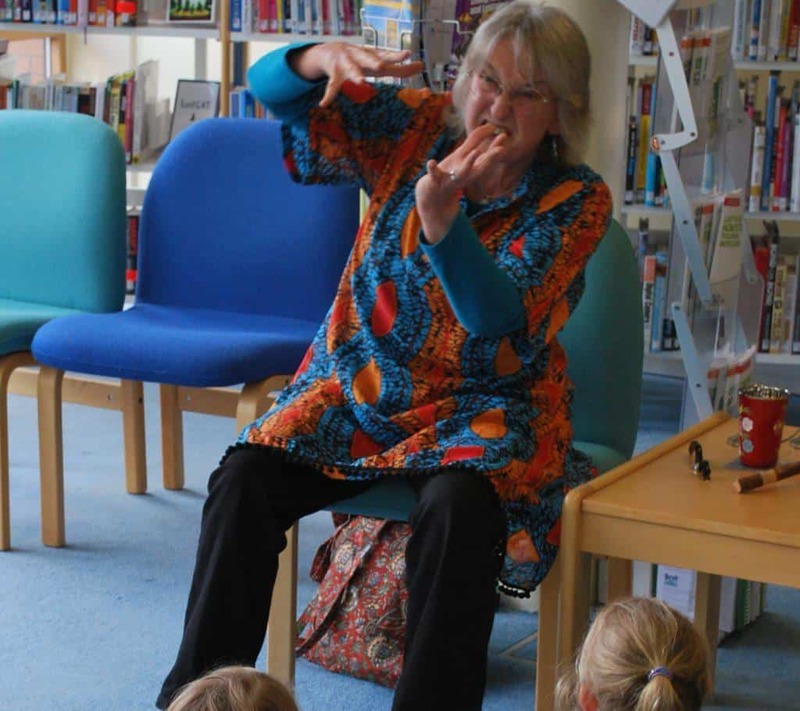 Since then I’ve told stories in a freezing fen, a smoky round-house, schools, fields, pubs, cafes, community centres….